In the Word, Jesus tells us that Believers shall lay hands on the sick, and they shall recover. Most people are surprised to learn that Jesus still heals today. His miraculous power is readily available to those who desire to learn how to use it. Spiritual First Responders have been trained in the area of ministering to the sick and hurting. We bring a living Jesus to a dying world. We are called to train up Disciples of Jesus Christ who operate in full authority, setting the captives free by healing the sick, delivering the oppressed, and supplying provision for the needy. We provide materials and hands-on training to meet these goals. Knowing who you are in Jesus is key to learning how to minister to the sick. The SFR training program will help you understand the doctrine and mechanics of learning to minister to a hurting world. You can actually lay hands on the sick, seeing them instantly healed, if you know who you are in Jesus, and understand the price He paid for the miracle healings that are still available today. Our training courses and materials cover everything you need to know to see this happen. 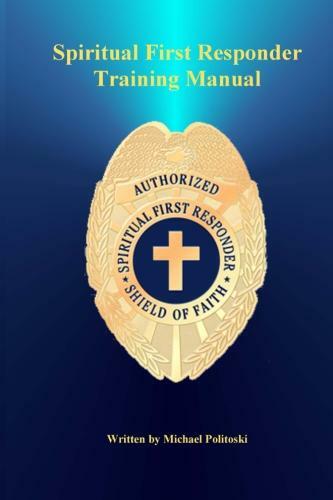 The Spiritual First Responder Training Manual is available as a resource to you which will guide you through the scriptures showing you how to learn who you are in Jesus, and how to use your spiritual authority to command sickness and disease to leave. We also offer a one day Identity and Lifestyle training course for hands-on instruction.